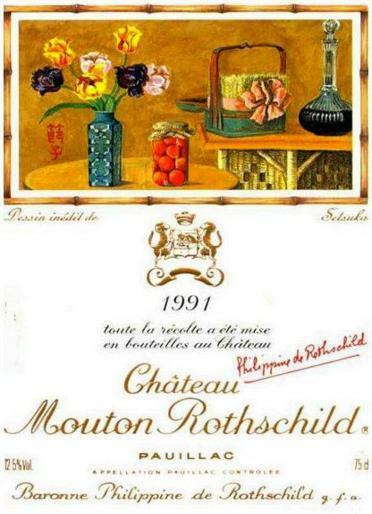 Chateau Mouton Rothschild, the most marvelous wine of France and possibly the world! A glorious blend of Cabernet Sauvignon, Merlot, Cabernet Franc and Petit Verdot that results in a sultry wine experience which escalates as it matures. Appropriately, the bottles for each vintage, of this first-growth Bordeaux, have been adorned by labels created by the world's great artists since 1945.